These traditional Argentine ganache cookies melt in your mouth. After moving to Jersey, Maker Veronica Sain wanted to recreate the tastes from her childhood in Argentina. She’d embark on hour-long treks just to get alfajores—a nostalgic craving that evolved into two rich, handcrafted recipes. Veronica’s take on this traditional treat consists of creamy dulce de leche sandwiched between soft cookies with a hint of lemon zest and cognac. As if that’s not mouthwatering enough, she rolls the cookies in crispy coconut flakes—adding a whole other layer of scrumptious texture. And if you’re a chocolate lover—don’t fret—Veronica’s got you covered . . . in fine European dark chocolate ganache with that same sweet dulce de leche center. Gift ready and delicious, D’Leche’s alfajor recipes take a classic recipe to even yummier heights. Hello from the Historic Town of Freehold, New Jersey. I am honored to be today’s featured Grommet! Each and every confection from D’ Leche is carefully handcrafted and created in our commercial kitchen made of all-natural and organic ingredients. We are excited to introduce a famous dulce de leche caramel Argentine delight to the USA. 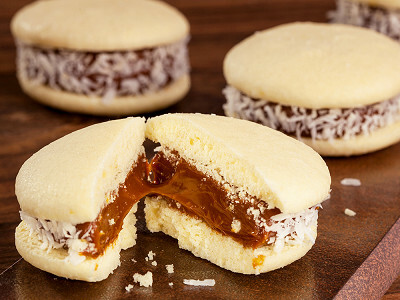 We are proud to provide you with the best—most refined Argentine Alfajor. We love sharing our story and look forward to our conversation! Hola Veronica! Congratulations. My good friends just moved to NJ from Argentina. They will be very happy to try your alfajores- and so will I. Do you also have a store in Freehold? We are less than 30 minutes away. Thanks! @Amie Hello Amie, Thank you so much and hope your friends are adjusting well to the New Jersey area! Currently we are an online store only, but plan to expand later in the year. @Veronica - Hi Veronica, is this gluten/wheat free? @Asad Hello Asad, Thank you for your question. Our products are not gluten or wheat free at this time. I first was introduced to Dulci D'Leche on a trip from Brazil to Argentina in 1998 and have been a fan since! I look forward to trying some of your wares! 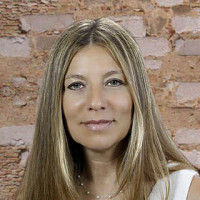 @Marcia Hello Marcia, Thank you and so nice to hear you had a chance to explore Brazil and Argentina. Sounds like you've been a fan for quite some time. Dulce de leche is certainly like no other caramel. (It translates to "the sweet of the milk") Our dulce de leche is imported from Argentina. 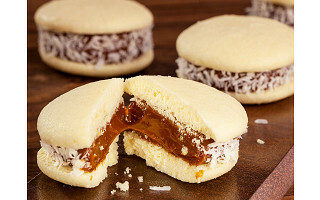 It's another reason why our confections have that true-authentic Argentine alfajor taste. Veronica, are your products freezable? @Carol Hello Carol, That's a very good question! We would suggest placing them in an airtight container or the box it arrives in, then placing in the refrigerator. It will keep fresh for about 7-10 days. Like any fresh-baked pastry or confection, it's best to have while still fresh. I don't think you'll have to worry about freezing them though. Usually they disappear shortly after your order arrives. :) Hope that helps! What is the expiration time for storing? @Caroline Hello Caroline, Our products are made to order so they arrive with that just-baked taste we want everyone to experience. They are baked, packaged and shipped all within 24-hours. Once your package arrives, our Alfajores will stay fresh for 7-10 days from date of receipt. Just store them in a cool-dry place or the refrigerator. These traditional Argentine ganache cookies melt in your mouth. After moving to Jersey, Maker Veronica Sain wanted to recreate the tastes from her childhood in Argentina. She’d embark on hour-long treks just to get alfajores—a nostalgic craving that evolved into two rich, handcrafted recipes. Veronica’s take on this traditional treat consists of creamy dulce de leche sandwiched between soft cookies with a hint of lemon zest and cognac. As if that’s not mouthwatering enough, she rolls the cookies in crispy coconut flakes—adding a whole other layer of scrumptious texture. And if you’re a chocolate lover—don’t fret—Veronica’s got you covered . . . in fine European dark chocolate ganache with that same sweet dulce de leche center.